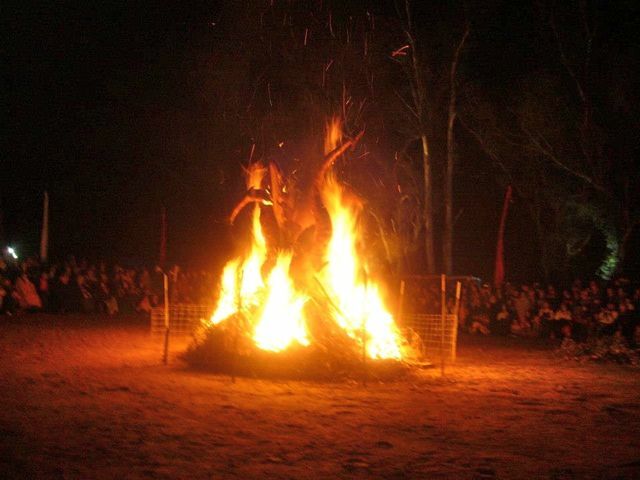 A photograph of the winged straw dragon in the combat arena of the Balingup Medieval Carnivale (2012). The dragon was set on fire in the Burning the Dragon ceremony which marked the end of the Carnivale’s first day. 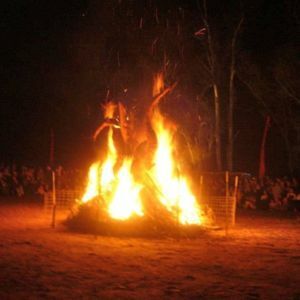 “Straw Dragon Alight at Balingup Medieval Carnivale,” Medievalism in Australian Cultural Memory, accessed April 25, 2019, http://ausmed.arts.uwa.edu.au/items/show/1095.